What is Positive and Negative Space? As an element of art, space includes the background, foreground and middle ground. It also refers to the areas around, between and within the forms, shapes, colors and lines that compose the work. 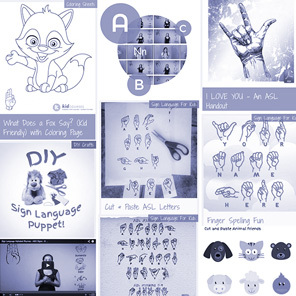 Positive and negative space in arts and crafts can be tricky, or they can be (truly) black and white — they can assume the roles of foreground and background in a painting, or they can trade identities depending on your perspective. The concepts of positive and negative space are abstract and, in most cases, more difficult to identify than shape, color or size, so start with basic examples when presenting this concept the first time. Ultimately, by understanding the difference between positive and negative space, you gain important clues about the meaning of the artwork. The easiest way to grasp the nature of positive and negative space is to look at a simple black and white graphic like the one below. In this example, one of our students “painted” over a photograph to create a digital work that represents positive and negative space. 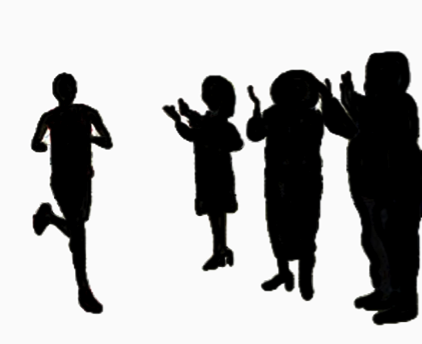 Note that the subject (the people) would be the positive space, as they “pop” to the foreground, and the white areas are the negative space (the background). 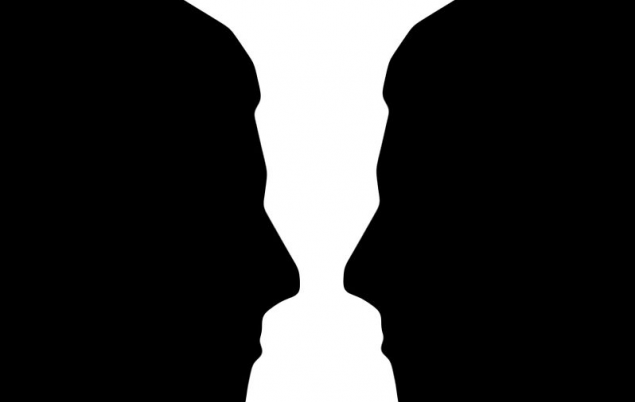 Do you see the profiles of two people facing each other? If yes, then the black spaces are the positive images while the white area is the negative background. Conversely, if you see a white vase in the center of the picture, the black around it is the negative space. 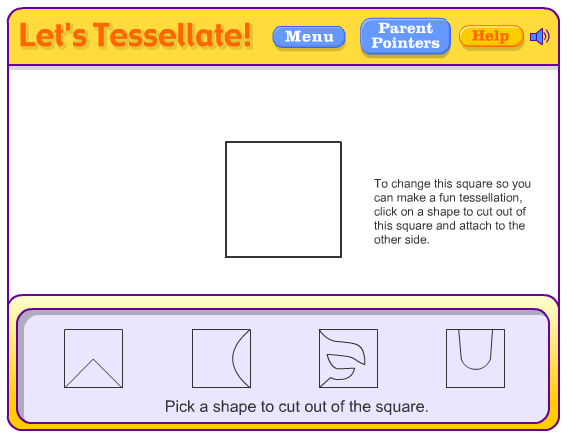 Tessellation is a repeated pattern of geometric shapes that completely covers a surface without gaps or overlaps. 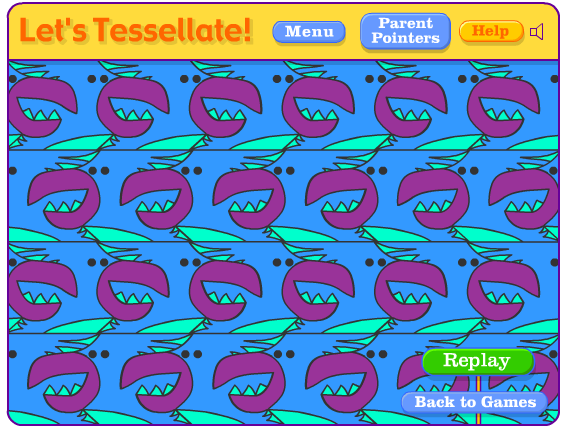 Among the earliest examples of tessellation are wall decorations crafted by the Sumerians around 4000 B.C. 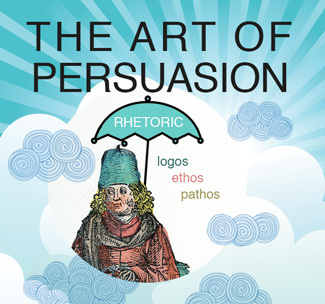 During the 20th century, graphic artist M.C. 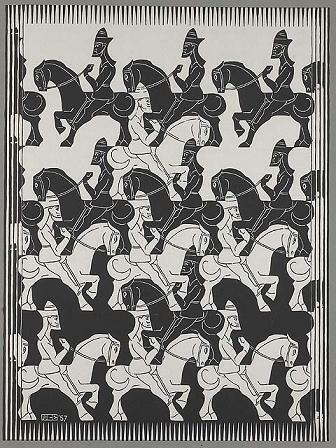 Escher created non-geometric, tessellated designs like “Regular Division of the Plane III,” below. Do you see the black mounted warriors or the white? Those you see first are the positive images, but as you can tell, the positive and negative are interchangeable. Perhaps, in addition to creating a cleverly tessellated drawing, the artist is suggesting that in a battle, each side has equally important but starkly different causes. Many colorful quilt patterns incorporate tessellated designs as well. Most of these are strictly geometric patterns consisting of squares, triangles, diamonds, rectangles and/or hexagons. For example, “Tumbling Blocks” features diamonds arranged to suggest three-dimensional squares. The intentional use of color in a quilt creates positive space – the primary pattern – and negative space – the secondary, background pattern. Often, the name of the quilt provides a clue to the positive image you should see. 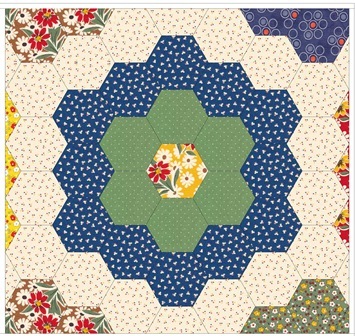 The quilt maker’s choice of darker tones for the flowers in the “Grandmother’s Flower Garden” quilt block above contrasts with the lighter color of the hexagons that frame each flower. Thus, the darker pieces compose the positive space while the light ones compose the negative space. Nōtan is Japanese for “light-dark harmony.” The video below (by Visual Voice Gallery) shows you how to make a Nōtan artwork using a square of black cardboard and art supplies. Not only is it a great art project on positive and negative space, it also helps artists develop an eye for scale, shape, and balance. Determining the positive and negative spaces in a more complex, non-geometric work of art is typically a more difficult task because you must sift through additional nuances of meaning. Also, an object in the background, or negative space, may be just as important to the artist’s concept as the object occupying positive space. Consider the following two artworks by 20th century artist Diego Rivera. 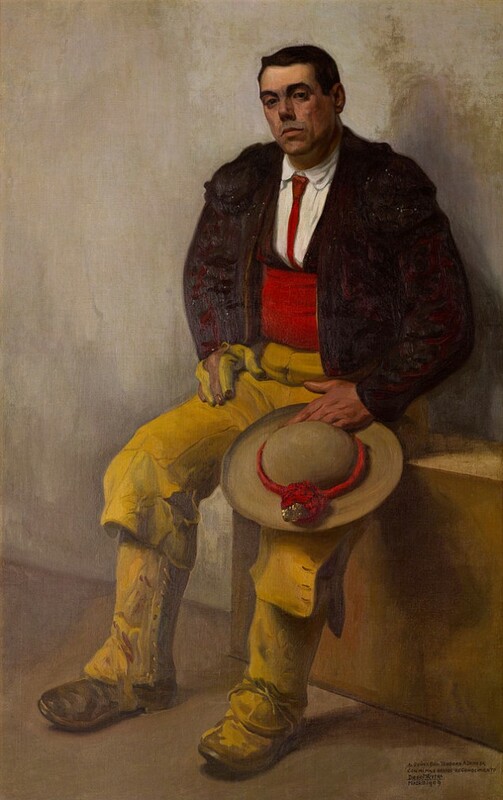 The division between positive and negative space is quite clearly defined in the first example, “El Picador.” The figure of the man occupies positive space while the plain background comprises the negative space. 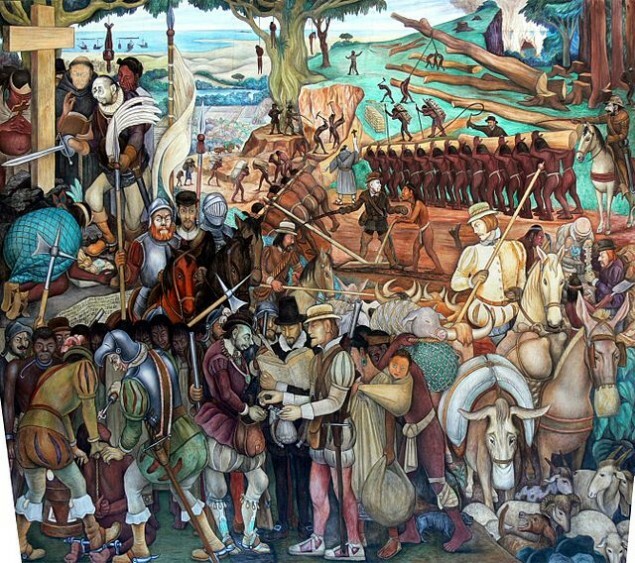 In contrast, in Rivera’s mural depicting the Spanish conquistadors’ exploitation of Mexico, the foreground is a jumble of activity with a collection of animals, conquistadors and Mexican natives vying for the positive space. In the background are smaller but succinct views of Mexicans in various states of oppression, ranging from slavery to death (please consider age appropriateness for this one before sharing). The artist’s use of positive and negative space may suggest that the excitement caused by the conquistador invasion consumed everyone’s attention while the crimes they committed against the Mexicans became part of the background, plain to see but largely unacknowledged. On a piece of graph paper, draw squares, triangles, rectangles, diamonds or a combination of these shapes that cover the area without leaving spaces or gaps, just like a tile-covered floor. 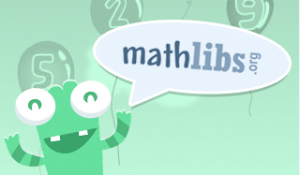 Use colored pencils or markers to fill in the shapes, indicating a specific pattern of positive and negative space. Hint: Use a quilt pattern as a guide. Experiment with positive and negative space by copying your pattern page several times before adding color and then varying your patterns to see different results.